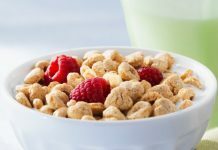 Camping food doesn’t need to be boring and you can spice up things a bit whenever you are cooking outdoors. 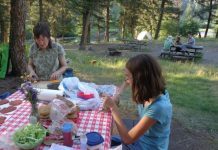 Here are a few interesting camping recipes to try to make the campfire meals a wonderful experience. Bacon, sausage, hash browns, cheddar cheese, eggs, onions and green pepper along with some butter, salt and pepper are everything one needs for a hearty camping breakfast. Cook and crumble bacon strips and sausages. Cook hash browns till crispy add onion chunks and crumbled sausage. 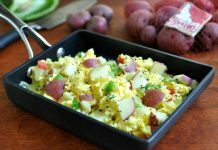 Stir in eggs and cook until done. Add cheese and butter and stir. Add crumbled bacon, cover with cheese and cook until cheese melts. 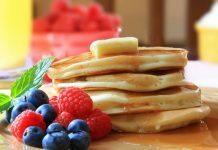 Use a cast iron skillet for best results. 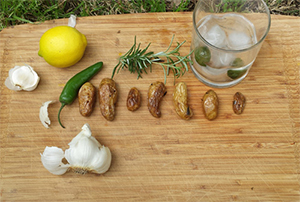 All one needs are fingerling potatoes, olive oil, gin, rosemary, smashed garlic cloves, lemon peel, half a Serrano pepper and some salt and pepper, for this great starter. 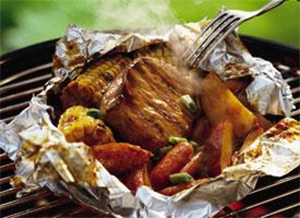 Combine all ingredients in a foil and cook on campfire. Stir occasionally to ensure that the potatoes are coated with the oil and gin. Cook until fork soft and serve. Prepare filling using favorite ingredients, some options being cheese and beans, sweet potatoes and beans or soya Rizzo and potatoes. 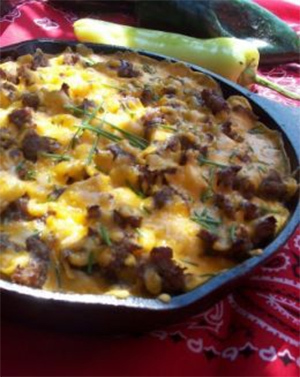 Soften the tortillas on a warm skillet. Place the filling and fold to form a taco. 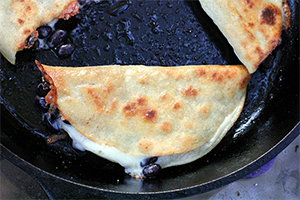 Heat some oil on the skillet and fry on both sides for a crispy taco. Serve with hot sauce, salt, and pepper. 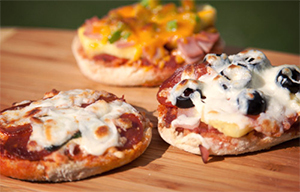 English muffins, a jar of pizza sauce, some shredded cheese and favorite pizza toppings are all one needs for some campfire pizzas. Cut the muffins spread some sauce and cheese on them. Add desired toppings and place on a foil on a grill. Cook on a warm campfire until the cheese turns golden. Use refrigerated biscuit dough for the bread. Roll each of the biscuits in cinnamon powder and sugar mix. 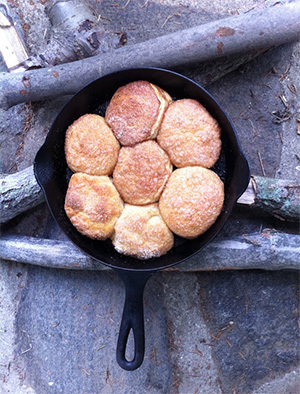 Place biscuits in skillet and dot with butter. Cover and cook for 20-30 minutes on medium heat for delicious bread. Mix honey, cumin and barbeque sauce. Use heavy-duty foil, sprayed with oil to prepare a pack with one pork chop, some corn, potato wedges carrots and barbeque sauce mix. Fold and seal the pack tightly before grilling on medium heat for 15-20 minutes. 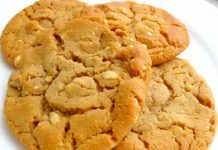 Use biscuit dough for this lovely dessert. Cut biscuit in half, spread cream cheese, drizzle honey, place strawberry slices and cover with the other half. 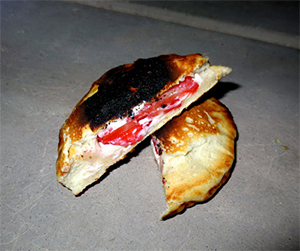 Use a pie shape made of iron or foil to cook for 2 minutes on each side, in campfire embers.